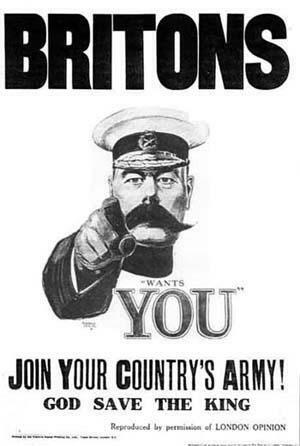 At the outbreak of war in 1914, the British Army had 700,000 available men. Germany’s wartime army was over 3.7 million. When a campaign for volunteers was launched, thousands answered the call to fight. This included four of the male teachers at St. Patrick's: Mr McVey, Mr McLaughlin, Mr McDonald and Mr McAuley. 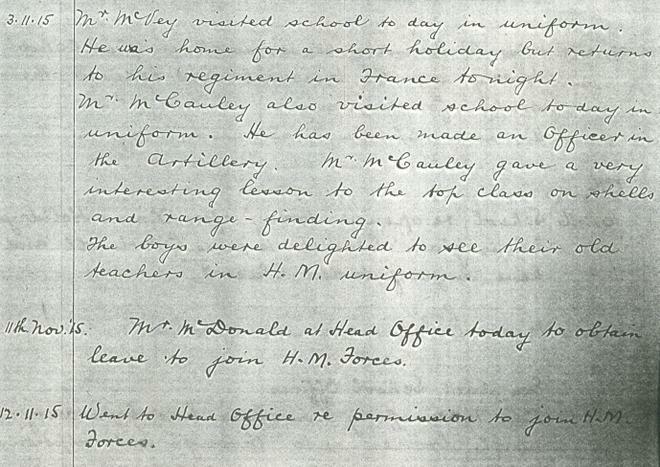 Mr McVey is first to sign up to fight in the Great War. Mr McLaughlin also signs up. These teachers freely volunteered to serve their country in the War as conscription wasn’t introduced until January 1916. Other male teachers join them in signing up, Mr McDonald and Mr McCauley. 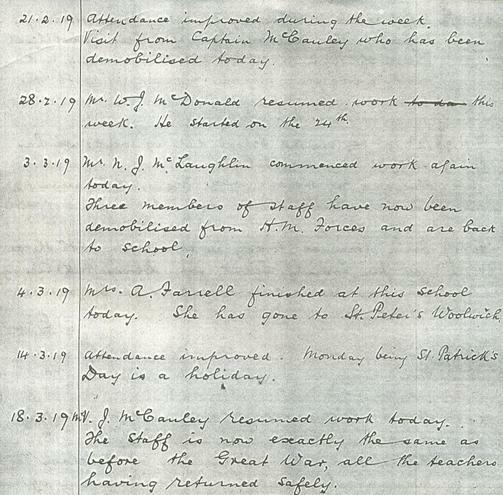 All four teachers survived the war and returned to work at St. Patrick's.